EX-ACTOR RYNE LANARK IS PLAYING THE DEADLIEST ROLE OF HIS CAREER... AVENGER. When his entire family was brutally slaughtered, actor Ryne Lanark left the stage to become a cop, swearing revenge on the sadistic scum responsible. Using his mastery of disguise to head up Chicago P.D. 'S elite DECOY squad, the relentless crusader has embarked of his own personal war of retribution. A tortured loner, a ruthless executioner, Ryne Lanark is on the streets - overstepping the boundaries of the law to mete out his own explosive brand of urban justice. The newspaper calls him 'Gentle Jim' - a hulking giant with the mind of a demented child who's been leaving a trail of disemboweled blonde corpses in his wake. So far the police have been unable to track down the elusive killer. But now LT. Ryne Lanark is on the case. And the relentless avenger is determined to halt the psychopath's grisly reign of terror by any means possible - legal or otherwise. Because Gentle Jim has already selected his next victim - the beautiful blond DECOY cop Shannon Keyes... the woman Ryne Lanark loves. 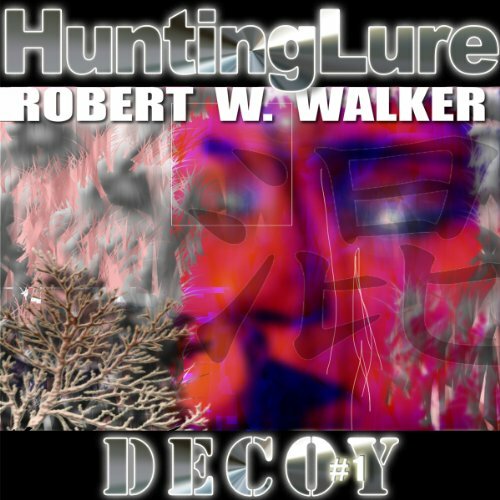 About the Author: Robert W. Walker is the author of more than forty thriller and horror novels, including 4 books in the EDGE series and 11 books in the acclaimed INSTINCT series featuring FBI medical examiner Jessica Coran.